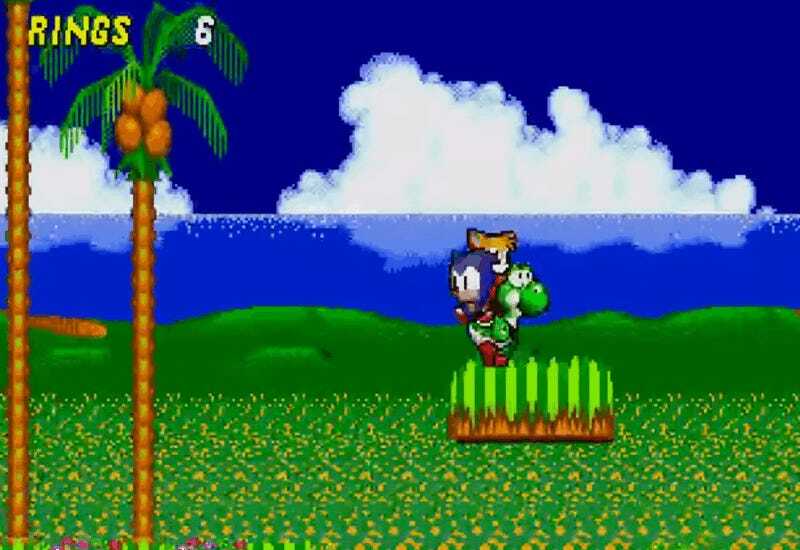 I’m not sure what I love more about this newly-released ROM hack that lets you play the Genesis classic Sonic the Hedgehog 2 as Nintendo’s Yoshi. The incredible, detailed sprite work? The fact that the gameplay has been totally overhauled to use Yoshi’s eating-and-pooping mechanic? It’s just so hard to decide. No, I’ve got it. It’s the fact that you can actually touch Fuzzy and get dizzy. (Skip to 0:54 in the video below). I mean, they even hid red rings disguised as regular yellow rings. It’s a thing of beauty.